Two new executives have joined Byton – the fledgling electric vehicle startup – in its senior management team. Alpine’s ex-chief engineer and Honda R&D America’s ex-chief automotive engineer have joined Byton. The changes see Chad Harrison appointed as vice president of product-line management, while David Twohig becomes chief automotive engineer. Harrison is a 22-year veteran of the automotive industry and formerly Honda R&D America’s chief automotive engineer. Twohig most recently led the development of the Alpine A110 as chief engineer at Alpine and head of vehicle engineering at Renault Sport. A new Los Angeles-based Future Lab will focus on developing user experiences and advanced concepts to define the future of driving and ride-sharing. The company plans to launch its Smart Intuitive Vehicle (SIV) in Q4 2019, following its european premiere at Milan Design Week and also the 2018 Beijing Motor Show. 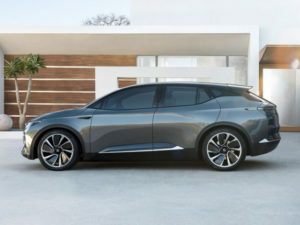 Byton now employs around 300 people at its Silicon Valley headquarters that opened in December 2017. Previous: Are car brands failing potential EV buyers? Next: Can carsharing play a decisive role in electric mobility uptake?